The Next Web is at The Inspire Conference this week and first up to speak today was Alexander Ljung, co-founder of SoundCloud. You’ve probably heard of SoundCloud before. But for the benefit of those who have been hiding under a rock for the past few years (or for those whose audio consumption is limited to iTunes and their radio alarm clock), here’s a quick potted history. 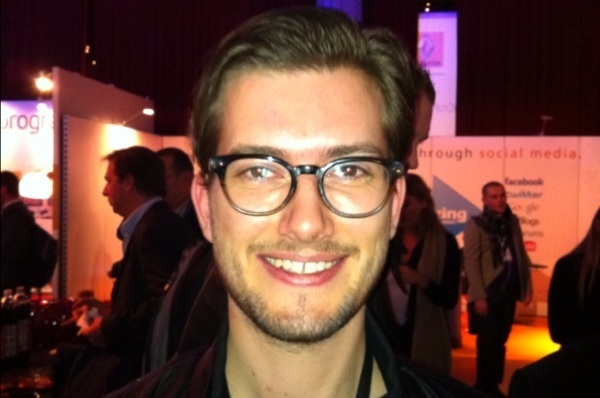 SoundCloud was founded in August 2007 by Alexander Ljung (CEO) and Eric Wahlforss (CTO). It was originally started in Sweden, but it moved to Berlin early doors to where it’s now headquartered. It was launched with the intention of allowing musicians to share recordings with each other, but it later transformed into a full publishing tool enabling musicians to distribute their music tracks. SoundCloud lets anyone record, upload, promote and share their originally-created sounds across the web, in a simple, accessible and feature-rich way. It’s also an open platform that supports a wide range of applications built on the SoundCloud API, enabling everything from mobile voice recording, online mastering and digital distribution, to Facebook artist profiles and iPad music making. But in terms of the Internet, Alex’s vision is to unmute the Web and make audio a key facet across cyberspace. Alex took ten minutes after his talk to chat to The Next Web. The Next Web (TNW): Hi Alex, thanks for taking the time to speak to The Next Web. The last time we caught up with you, you were speaking at The Next Web Conference in April. What have you been up to since then? Ljung: We’ve been hiring a lot of people, the user growth has been so fast so we need a lot of people to manage that. We have about 50 people on board now and there are 25 open positions just now. So if you know anyone…? And then there was also the integration with Tumblr which means people can now post audio to Tumblr from their mobile. TNW: Are you still managing to catch our Daily Dose podcasts when you’re brushing your teeth in the morning? Ljung: Yeah, I am. You guys are killing it, it’s the perfect way to catch up with what’s gone on in tech the previous day. TNW: Are you finding that conferences and interviews are consuming more and more of your time? Do you enjoy that part of the job, or would you rather be recording music or developing SoundCloud? Ljung: Yeah, sometimes I think when I’m traveling ‘why do I need to get inside this giant steel tube again’, but then the flip-side is I get to meet SoundCloud users all over the world. I was just in Singapore last week and I met users from Korea, Japan, Indonesia, Malaysia…and I think that side of things is really amazing. It’s worth any amount of torture at airports. TNW: Traditional radio is still as strong as ever, it has outlasted many mediums and it will probably never die out. You talked about parallelization of sound consumption as to why audio would be bigger than video on the Web. Do you really think that audio on the Web can go a step further than traditional radio, and actually dominate? Ljung: Yeah I think it can, but it’s about reinventing the way people discover, create and consume it. We still need to reinvent the format for it to be as big as we think it can be. TNW: Digital companies are often said to have a very short shelf-life, as we’ve seen with platforms such as MySpace who occupied a similar space to SoundCloud. How do you see SoundCloud evolving to ensure it survives long term? Ljung: We can’t look at others to figure out what to do. We look at our users and our third-party developers – that’s all we focus on. As long as we see that people are happy, engaged and loving SoundCloud, then we’ll always have a strong product. TNW: I thought it was remarkable that Sound Rain went from zero to market in about a week. Have you got any updates on how that’s going so far? Ljung: I don’t have any specific stats but I can say that people have been very enthusiastic about it. And I can say that people are using it. TNW: Would you ever see SoundCloud partnering with musicians or even ticket agencies to sell tickets for shows directly through the SoundCloud interface? Or is that something that would bore you? Ljung: Well, we have an integration with SongKick which can display people’s upcoming gigs, and users can click through. A lot of companies fail because they get greedy and try and do everything. Different companies are good at different things and I think we will always concentrate on the audio side of things. TNW: How has all the investment you’ve received (thought to be about €12.5m) changed the way you work? Have you found that you’ve had the same control, or are you feeling the pressure of having to monetize SoundCloud? Ljung: We’ve had amazing investors that have really helped us develop. There has never been pressure as such, it’s been more about helping us. For the ‘B’ round now we’ve been working with people like Fred Wilson, they’re incredible investors and extremely helpful. They’re a core part of what we do now – they’re a part of the team. TNW: Would you be open to more investment in the future? Are there any more areas you’d like to develop within SoundCloud? Ljung: We have a product feature list that’s longer than this room. We have a long way to go – we are set on making sound a key part of the Web and that’s a big undertaking. We’re not thinking in terms of more investment, we’re thinking that we’re on a clear path now with a great team. We just want to get to the point where we want to be. TNW: Thanks for your time Alex, great speaking to you!